Why Paralegal Support Services Demand Increased Everyday? Notice that today attorneys are struggling to keep up with a multitude of tasks handed over to them due to the rising rate of crime and embezzlement. It becomes difficult to increase profits as well as find time to ensure all cases are taken care of without losing any clients in the process. This is the height till where most attorneys wish to reach but cannot for the simple reason that they either don’t have enough time or lack resources. So, switch towards paralegal support services that most of the lawyers prefer at hand since they assist professional attorneys in not just managing their filing systems but also providing legal advice for a spectrum of authentic tasks. As for defining paralegals, we know as a branch of qualified legal agents with education as well as training with respect to law and order. Right from maintaining legal documents, substantive regulation of official tasks to understanding the basic formalities present in legal procedures is what a paralegal does. Normally they assist solicitors however they may function in a legal environment that consists of both the commercial and public sectors of the economy. 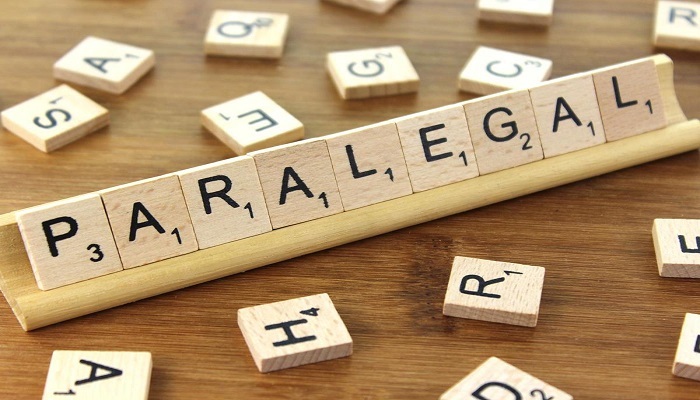 Paralegals are a must for legal procedures since their main task is organizing correspondence, performing legal investigations and filing legal documents manually or electronically. Though they are supposed to mainly work under solicitors and barristers, they are associated with plenty of different sectors right from banking, insurance, and retail business to credit control, media, family, and entertainment. Their focal initiative is driving their solicitors to conferences, legal hearings, filing court schedules and law libraries for research upon a case. Legal research is one of the main tasks of the paralegal in India where tracking legal activities, maintaining lists of correspondence, maintaining an in-depth understanding of the organization and most importantly filing the legal documents that can be proof and defend your case in court. What Do You Mean By Outsourcing Legal Services? Legal offshore outsourcing is a procedure where services are called for from another economical destination where face to face interaction between clients and law firm doesn’t exist. Today, we find that a number of organizations have begun to depend upon legal outsourcing services for the reason that it provides a standardized cost. A multitude of legal tasks can be managed from different outsourced legal companies belonging to different destinations where expertise can be obtained from a number of sources all giving their advice and professional care into the anomalous cases. It aids those people who receive less attention due to the fact that everybody hires the attorney but forgets the assistance behind his rise. Hiring outsourced functions will allow the IT department to initiate software that can process legal events automatically and therefore is of high importance while filing petitioners. The services rendered in the case of legal outsourcing consists of quantitative tasks like litigation support, file management and data entry, legal coding and several other options where paralegal services prove to be the best. Paralegal support services simply aid the attorneys in most of the legal activities that take place. If you’re putting forward a contract that is with respect to any lawsuit the paralegal will undergo thorough research such that a foundation can be built to defend the case with solid evidence and organized a set of documents.